Available up to 6'0" the Double Hop is your straight up Skip Frye inspired fish. 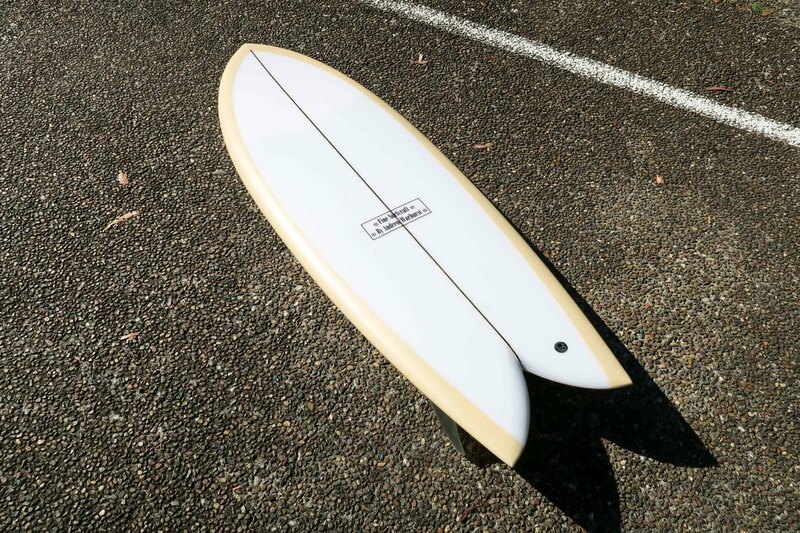 The ultimate speed machine in any small surf whether its a fast sloppy beach break or a long hollow point break. Lots of foam under the chest moving into a double concave through the back end with a big wide swallow for speed, stability and break points to allow tight turns, you then add either the wide base keel twin fins or the smaller quad fins and you have a lot of drive for such a small board. In one word... Fun!